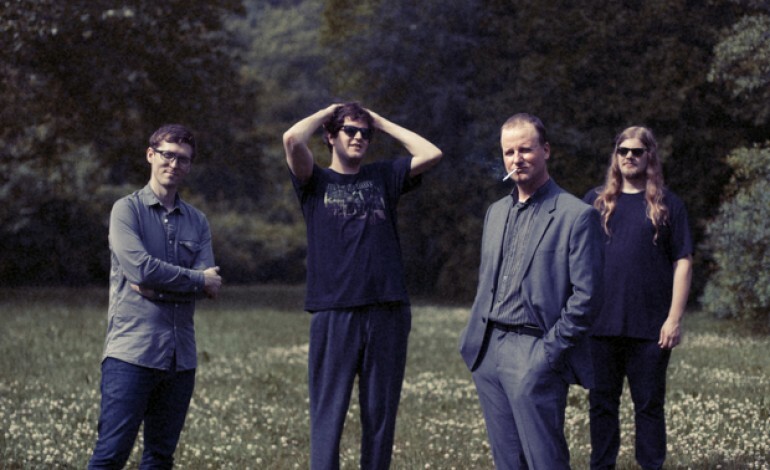 Protomartyr and their friends and soon to be tour mates Preoccupations have announced the forthcoming release of a split 7”. The split , which will be the first release since the release of Consolation E.P.,will feature each group covering the other, with Protomartyr covering Preoccupations’ “Forbidden” while Preoccupations covers Protomartyr’s “Pontiac ’87.” This split is similar to a recent split Protomartyr did with Spray Paint, which gave birth to the release of Irony Prompts a Party Rat. When it came to the upcoming cover, Protomartyr ‘s singer stated “we all really liked the outro part and had the brilliant idea to extend it. And that, my friends, is how you make musical history.” Although the 7” is not set for release until November 16, Protomartyr’s cover of forbidden can be heard now on multiple streaming services as well as in the player below. Along with the release of this 7” split, the two groups have a tour planned where they will be co-headlining. The tour begins in late November, shortly after the release of their joint 7” split.